“Welcome home!” “Welcome back to your school!” Those were the heartfelt greetings from current Pueblo students representing Pueblo Athletic Teams, Student Council, and Pueblo Pride Club as more than 50 Pueblo Alumni were welcomed to Si Se Puede Day. The marching band greeted these alumni with a warm welcome in the Little Theater, complete with breakfast and updates from a variety of staff about the progress being made at the home of the Warriors. Alumni Debbie Felix, Burney Starks, Doug Redmon and the Si Se Puede Day Committee revived Si Se Puede Day where alumni share their experience, careers, and advice with all up and coming Warriors. Alumni who have become teachers, elected officials, business owners, sports announcers told the students about the importance of gaining a reputation as a problem solver and a person that takes pride in their work. Some say, “you can’t go home again”. 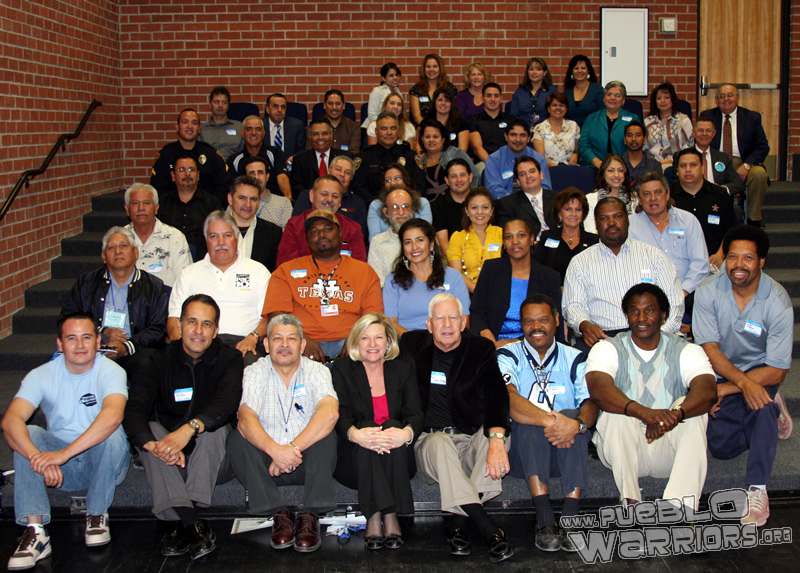 Well, speakers from the class of 1956 all the way to the class of 2006 came home again on November 20th, and gave back to their alma mater, Pueblo High School. Long live this storied Warrior tradition!